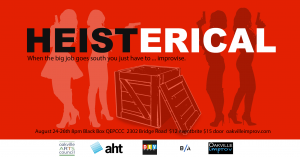 An improvised comedy caper inspired by the classic heist movies (and this summer’s “Ocean’s 8”). A different heist every night. Directed by David Raitt and James Jeffers.